Going, going, Gaughan: Wool Studio Vol. IV: the Norah Gaughan Collection is here! Wool Studio keeps getting better and better! Wool Studio Vol. 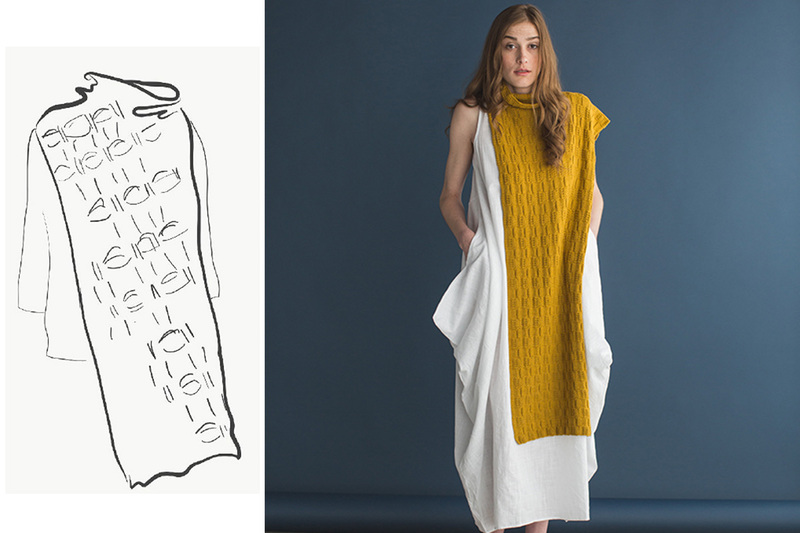 IV features 10 original designs by rock-star knitwear designer Norah Gaughan. Each design is practical, engaging, and unique to Norah’s distinctive design aesthetic. 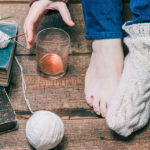 There are 5 garments and 5 accessories suitable for all-season wear in this well-rounded collection that showcases luxurious and affordable fibers from our friends around the yarn industry. As I wrote in my editor’s letter for this issue, developing this collection with Norah gave me a fascinating peek inside her design process. Working with a knitwear design genius wasn’t something I took for granted, and now that the collection is ready for the world, I thought I’d share a few of my personal favorite “concept sketch to final design” moments with you all. 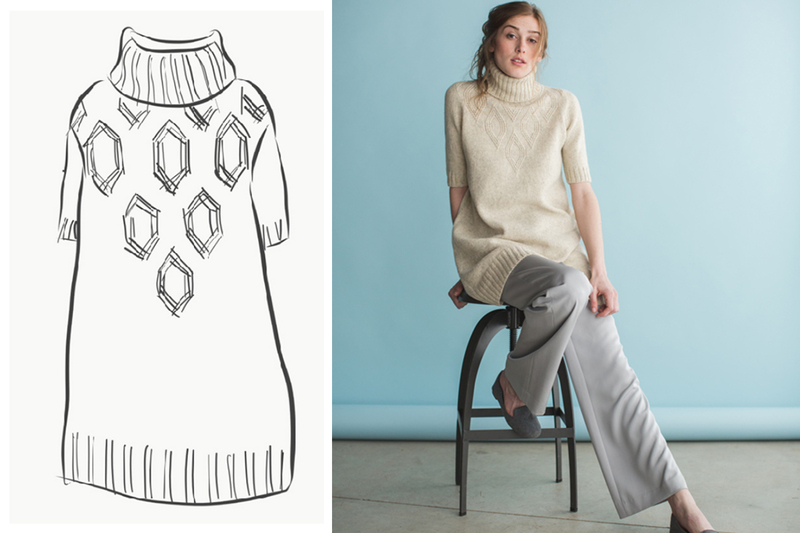 Norah’s sketch for the “turtleneck dress” is shown on the left. The final Sloan Dress is presented on the right. This dress is at the top of my must-knit list; I’d wear the heck out of this thing. And because it’s made in soft, light, worsted-weight tweed, this dress can be worn from autumn through the spring. YARN | Stacy Charles Fine Yarns BioMerino by Tahki Stacy Charles, Inc.
Norah’s sketch for “funnel-neck scarf” inspired the final Madison Scarf, on the right. Initially, this sketch had me scratching my head. Was it a scarf? A cowl? A top? A new take on the poncho? Turns out it was none of those things: it was a scarf/cowl hybrid inspired by an image I had pinned on our mood board. 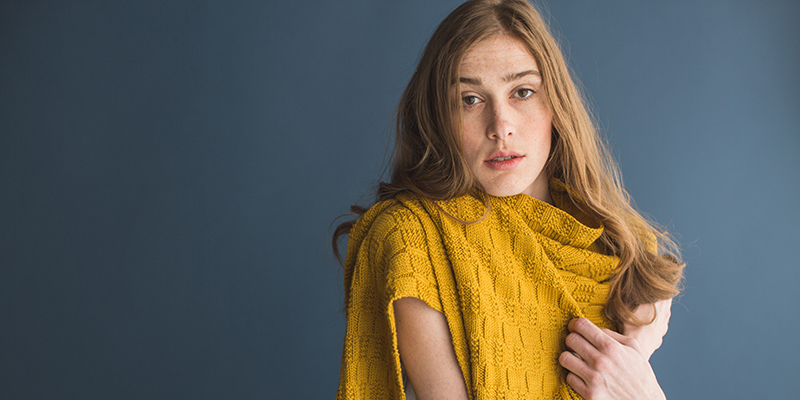 This scarf-cowl is right on trend and features the most interesting squishy textured stitch. I’m looking forward to making the Madison Scarf for myself, although I’m certain my sister will want one, too. 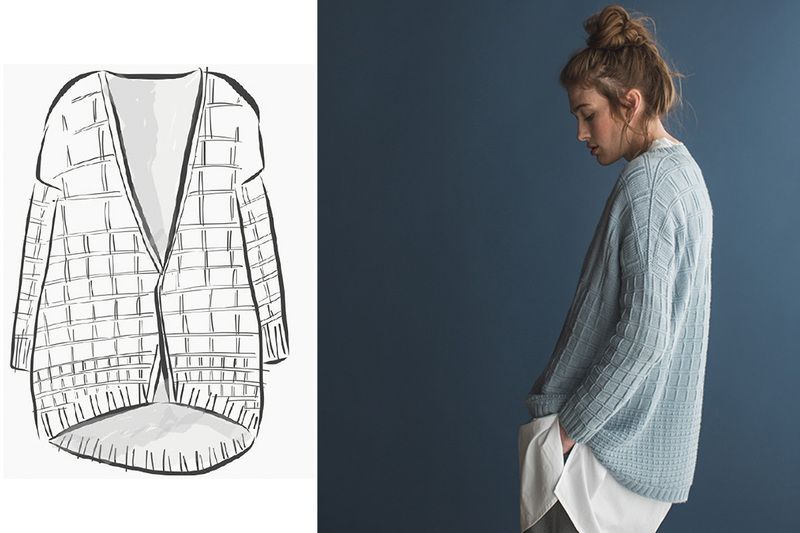 The Maya Cardigan was love at first sight for me—with its gradually decreasing squares, high-low hem, and oversized but chic silhouette, it’s a very “Norah” design. There are so many designs I want to cast on for from this issue, but I think this one is the most functional and fun. All of us are thrilled to finally share Wool Studio Vol. IV: The Norah Gaughan Collection with you. Explore our online lookbook , download the entire collection, and for the first time ever order a beautifully bound book version, too! Available at your local yarn shop or in our store.